You’re invited to a unique collaboration of talented healers from the Philly Area & visiting healer Alan Pratt. In the heart of the city experience powerful deep shamanic transformation akin to a medicine ceremony. Be held and carried by the medicine of sound, energy & feeling. Release old trauma, receive brilliant new frequencies, transport to other dimensions, connect with your guides, Ancestors, Angelic Host, Cosmic Family, and Deities to take your practice and presence on this planet to the next level. Alan sings and speaks in dozens of ‘celestial languages’, taking participants deep into a shamanic trance state, where we connect with our guides, purge old trauma, and activate our dormant strands of DNA. The sound and the energy moving through Alan is astounding. You will feel huge waves of energy flowing in & out of your physical body & auric field. You may have clear visions or visitations with your personal Spirit Guides & ancestors. Your arms & legs might shake & move spontaneously, as the energetic blocks are removed and your innate powers are restored. You may astral travel to other multidimensional realms. Many people liken these healing sessions to medicine ceremonies in the Amazon; old pain, ‘energetic density’, attached entities & outdated programming will surface to be released — breathe deep & flow with Spirit, and you will achieve excellent results. One ceremony with Alan can bring about a significant shift in an illness, and ignite a quantum leap in your own healing & psychic abilities. 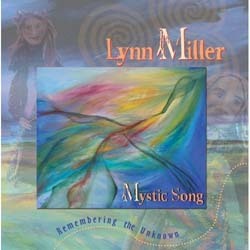 Leigh is a seasoned priestess, guide and shamanic healer with a gift for singing to the wilderness of your soul and calling all of you here, now. She integrates her extensive training in bodywork, Reiki, shamanic healing and ritual to create a safe space for profound transformation and awakening. Her work can help you sleep better, stand taller and gain a sense of purpose, clarity and freedom. Based in Philadelphia, Leigh offers In-Depth Healing Programs, Integrative Massage & Bodywork, Reiki and Shamanic Healing. 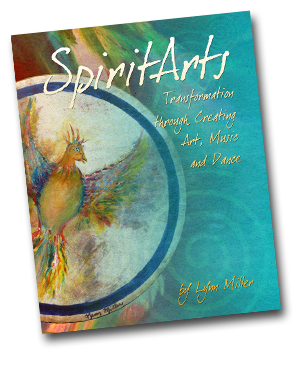 She guides Rites Quest/Vision Quest and teaches Reiki, Shamanic Practice & Embodied Priestessing. Leigh facilitates Women’s Circles and is a priestess/celebrant for all life occasions. Her specialty is Soul Initiation, the Crossroads, and Community Ritual & Dreaming. Leigh is a lover of life, and has a passion for wilderness, community, and communion through music and movement. Alexandra DiFilippo is a gifted Intuitive, Reiki Master and certified Reiki Sound Practitioner at The Reiki School + Clinic. She also teaches Intuitive Development and works as an Holistic Health and Transformation Counselor. Alexandra is able to facilitate healings in which deep clearing and unwinding occur through shadow work, entity release, cord cutting/ healing, removal/ crossing over of negative and draining influences, followed by balancing of the energetic systems and bodies, as guided. Meredith Spratt is a certified Holistic Health Coach and has been working closely with sound healings for a few years. She uses several healing instruments, and has been singing Icaros, or traditional songs used in various healing ceremonies. Meredith lets Spirit guide her as she uses both her voice and the rattle, flute, or chime to create a safe, sacred healing journey. Shango Nijah Ra is a dancer, and performs his art regularly in New York City. He uses his dance to create an energetic flow in a safe container, and works closely with sound as well. As a sound healer, he uses his voice, as well as various instruments. Shango also sings Icaros, or sacred songs used in various healing ceremonies. His unique presence will invite gentle yet immediate energy shifts!